Welcome home to Railway Lofts, maintenance free loft living at its finest! Unit 602 is one of the most desirable floorplans in the building, featuring an incredible amount of character and exposed brick as well as a full wall of windows along the master bedroom and living space letting in tons of natural light. 12 foot ceilings with exposed pipe and ductwork add an industrial feel while the wood floors keep the space bright and warm. In the living room you will find a fireplace with built-in bookshelves and an extra wide door to your own private balcony with beautiful views of City Museum. Move-in ready with 2 true bedrooms (no need to build walls) and meticulously maintained over the years. 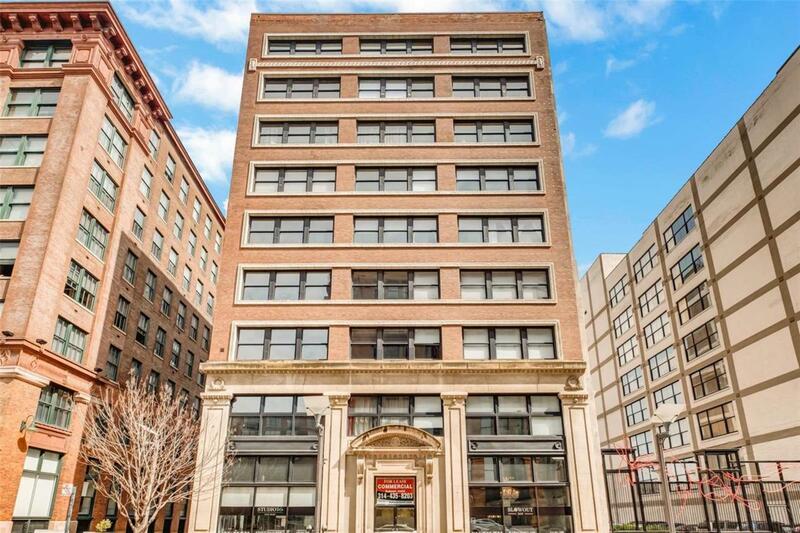 Don't miss out on this great opportunity to own your own beautiful space in Downtown STL.